Share the post "Getting the Best from the Fall Harvest of Fruits and Vegetables"
Every season brings its own delights when it comes to first fruits and vegetables. When Spring and Summer arrive in New Jersey, we carry the first, bright red strawberries home like precious gems. Who can’t remember that first bite into a fresh ear of succulent Jersey corn? How many ways can you count to use those luscious, red Jersey tomatoes? Do you remember those big Jersey blueberries on your morning cereal? Then there is the Jersey peach, the one where the peach juice runs down your arm! We are often sad to see that season end, but just like clockwork, the apples and pumpkins arrive and you know that fall is not far behind. 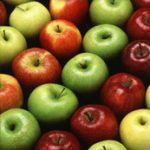 There are hundreds of varieties of apples on the market today, some are better for eating out of hand while others make the best apple pie. Apples are a good source of fiber. It is a good idea to eat the apple with the skin on, the skin has fiber and nutrients. There are many farms in New Jersey where you can go to pick your own apples. A few favorite Jersey apples are the Macoun, Red Delicious, and Gala. Apples can be sweet, tart, soft, smooth, or crisp and crunchy. There is a Jersey apple to suit everyone’s taste. Native Americans used pumpkins for many things and so did the colonists. They actually made the first pumpkin pie – the origin of pumpkin pie occurred when the colonists sliced off the pumpkin top, removed the seeds, and filled the insides with milk, spices and honey. The pumpkin was then baked in hot ashes (Source: History Channel) – a little different from how we currently bake or buy our pumpkin pies today. The bright orange color of pumpkin shows that pumpkins are full of an important antioxidant, beta-carotene. Beta-carotene is one of the plant carotenoids converted to vitamin A in the body. In the conversion to vitamin A, beta carotene performs many important functions in overall health. Current research indicates that a diet rich in foods containing beta-carotene may reduce the risk of developing certain types of cancer and may offer protection against heart disease and to promote healthy vision. Just like apples, pumpkins are very plentiful in the fall and many local farms offer fun opportunities to pick pumpkins at their farms. 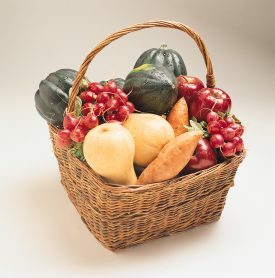 Squash are divided into two categories: tender or summer squash, and hard-skinned or winter squash. Examples of summer squash include zucchini, pattypan, straightneck, crookneck and other types. 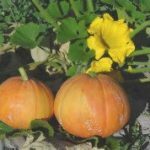 Fall/Winter squash include small to medium hard-skinned squash such as the acorn, small hubbard, miniature pumpkin and spaghetti types, as well as the large hard-skinned types, including butternut squash, cheese pumpkins, and large hubbards, among others. Although nutritional content of winter squash varies, these low-calorie winter vegetables provide numerous health benefits that may help reduce the risk of disease, including heart disease, cancer, diabetes and arthritis. 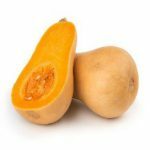 They contain high levels of alpha and beta carotene, which converts to Vitamin A, they are a good source of vitamin C and potassium, and are a healthy source of fiber. You will find these varieties at your local farmer’s market or produce section of the supermarket. 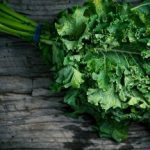 Kale has received a great deal of attention recently because it is packed with nutrients and is considered a super food. It is a fall vegetable and is at its peak at this time of the year. Kale hails from the cabbage family, which also includes broccoli, cauliflower, and collards. Kale is a very hearty cooking green and the cooler weather keeps it sweet. You can also use kale in a salad. Fall greens like kale, mustard greens, collard greens, and Swiss chard all have some fiber, folate and a wide range of carotenoids such as lutein and zeaxanthin which are good nutrients for vision. According to the American Institute for Cancer Research, researchers believe that carotenoids may prevent cancer by acting as antioxidants. Laboratory research has found that the carotenoids in dark green leafy vegetables may inhibit the growth of certain types of cancer cells. Kale should be found in your local farmer’s market or the produce aisle of your supermarket. 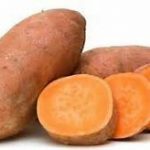 Sweet potatoes are a powerhouse of nutrients and flavor, and one of the best sources of vitamin A; a large one contains more than 100 percent of the daily recommended intake of Vitamin A, according to the U.S. Food and Drug Administration. Vitamin A may contribute to cancer prevention and the maintenance of good eyesight. Carotenoids are dark-colored orange pigments found in plant foods like sweet potatoes and squash that can turn into a form of vitamin A. Don’t let sweet potatoes just grace your Thanksgiving table. You can microwave sweet potatoes in about 10 minutes and have a powerhouse vegetable for dinner. Sweet potatoes are adaptable to many recipes, soups, stews, mashed, roasted, all are a great fall treat. Brussels Sprouts, mini cabbages, make a great fall vegetable. They are packed with vitamins A and C. They also contain high concentrations of cancer-fighting glucosinolates, which also gives these little cabbages their distinct flavor. 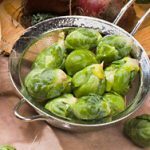 Their total glucosinolate content in Brussels sprouts has been shown to be greater than the amount found in mustard greens, turnip greens, cabbage, kale, cauliflower, or broccoli. Glucosinolates are important plant nutrients for our health because they are the chemical starting points for a variety of cancer-protective substances. Recent research made us realize how especially valuable Brussels sprouts are. There are numerous ways to enjoy Brussels sprouts, one of the best is to just roast them in the oven with some olive oil or sauté them in a pan with fresh herbs and onions. Carrots may seem like a spring vegetable, but many farmers plant them near the end of the summer to extend the harvest. The carrot is a root vegetable, usually orange in color, though purple, red, white, and yellow varieties exist. Carrots are a domesticated form of the wild carrot Daucus carota, native to Europe. 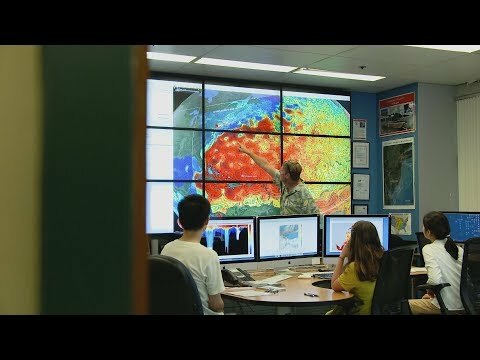 Scientists at the United States Department of Agriculture and other research institutions have been investigating more colorful versions of the carrot, like the purple, red and yellow. These colorful carrots have been available in other countries for some time, but here in the US, they still get a strange look in the produce aisle! 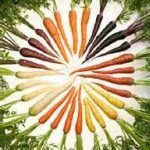 Just like the other vegetables that we have looked at that are packed with nutrients, scientists at the Agriculture Research Service in Madison, WI, have explored how they could breed more nutrients into the carrots. The scientist and the team working on the project not only wanted the carrots to be easy for the American farmers to grow, but they wanted them to taste good and to be high in nutrients. Carrots have over 200% vitamin A in a serving. Carrots are easy to cook and adapt well to many recipes, stews, soups, cooked on the stove, add some fresh herbs, or glaze them with orange juice. Cauliflower is at its freshest in the fall and it is frost tolerant once it is mature. 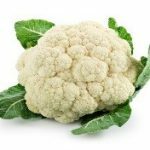 Cauliflower has many of the same health properties as the other cruciferous vegetables. Like Brussels sprouts, both glucosinolates and sulforaphane are present in cauliflower which can have the potential to be cancer fighting nutrients. It has antioxidant power in the vitamin C, K and manganese that also works to keep the body healthy. Cauliflower is also a good source of fiber. There are various ways to cook cauliflower, one unique way is to have “mashed” cauliflower, cook and mash it like potatoes. It tastes well cooked on its own, or added to soups or stews or roasted. The 2015 Dietary Guidelines for Americans encourage individuals to consume at least 3 vegetables and 2 fruits each day. Choosing some of these fall vegetables can be a great way to enhance your fruit and vegetable consumption as well as adding those beneficial nutrients. Be sure to check out a local farmer’s market near you for the freshest fruits and vegetables.